This morning in New York City, Spotify CEO and founder Daniel Erk revealed the popular music streaming site will allow third-party developers to create apps that link to its immense music library. Early app partners include Rolling Stone, Billboard, Pitchfork, Fuse, Songkick, Tunewiki and Last.Fm and many others. The apps are built in HTML5 so you’ll be able to access them across multiple platforms. 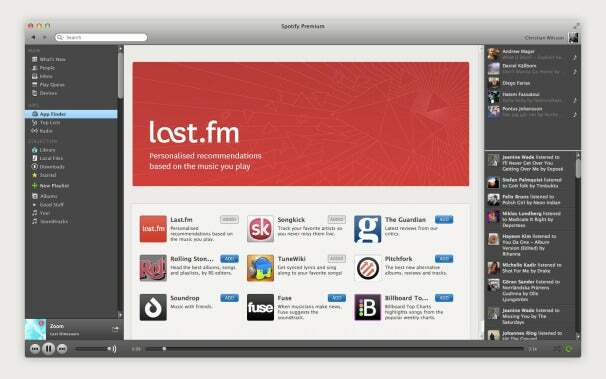 The apps will initially be available in the Spotify desktop software application, however. 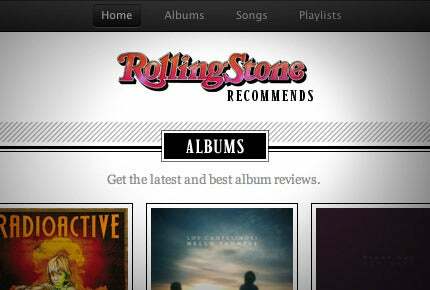 You’ll be able to read Rolling Stone or Pitchfork reviews of artists, albums, and songs as you’re rocking out or find out when your favorite band is going on tour via Songkick. Billboard’s app, according to Engadget, features a few Billboard charts including the Hot 100, Billboard 200, Rap/Hip Hop, Country, Rock, etc. Naturally, you can play the songs on these charts, but you can also subscribe them or share them via Facebook or your Spotify inbox. Spotify is great if you already know what you want to listen to—and sort of a mess if you’re looking for something new. The Last.fm app will attempt to solve this problem by recommending songs and creating playlists around your listening habits and scrobbles. Some of the more intriguing apps are from developers relatively new to the scene. Soundrop reminds me of Turntable.fm: You can build playlists and then invite your friends to listen in a chatroom-like interface. They can vote on whether they like the song or not or tell you if they hate it. ShareMyPlaylists, another newbie, lets you build playlists on Spotify and share them externally via the company’s site. We Are Hunted, perhaps the most intriguing app of the bunch, builds top song charts for you based on social media, P2P networks, message boards, iTunes downloads and Last.fm scrobbles. Aesthetically, it looks quite different from Billboard’s app with large pictures of the artists or bands in order of their popularity. November has been a hot month for streaming music. Google Music came out of beta, complete with its own store and Google+ integration. Apple’s iTunes Match service, which lets you access your music library from the cloud, debuted just days before Google Music. 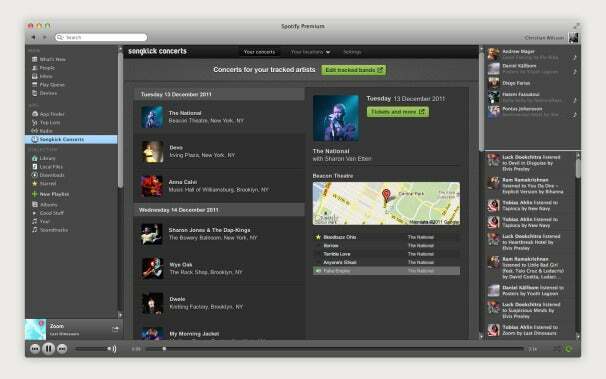 Spotify’s new app platform definitely gives the service an edge over its competition, however. These initial apps are just the beginning—and I can’t wait to see what else developers come up with.